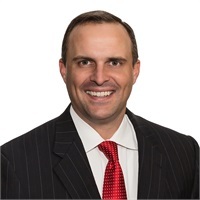 Clifford Nichols | Inspire Financial Group, Inc.
Clifford Nichols joined Inspire Financial Group in 2000. As a Financial Advisor, he holds various licenses, including his Group 1 Insurance License, along with his Series 6, 63, and 65 Securities License. Clifford’s role within Inspire Financial Group is to help his clients save, protect, and invest their money. Since 2000, he has helped numerous clients plan for retirement, college, and develop estate plans for clients to pass assets to their heirs. Clifford has a bachelor of Business Administration from Texas A&M University. He and his wife Emily have two daughters, Ava and Eliza and they reside in Dallas, TX.